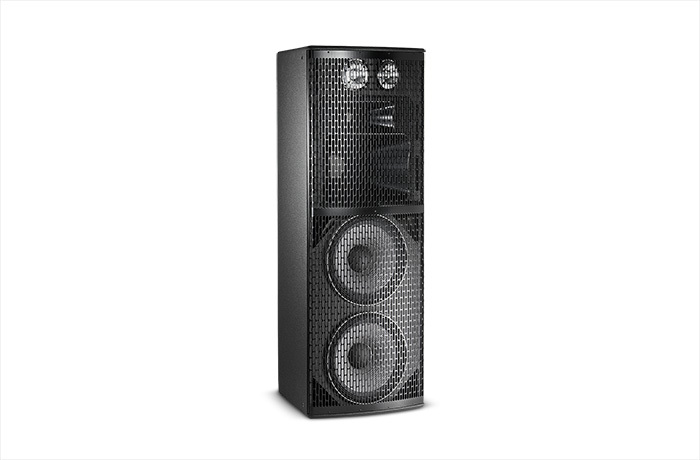 JBL’s Marquis Dance Club Series is a state-of-the-art family of loudspeaker systems designed specifically for the Dance Club Market. MD46 is a high-power 60° x 40° dual 15" low-frequency system utilizing dual 2265H Differential Drive transducers, CMCD82H 8" mid-range driver, 2432H 3" diaphragm compression driver, and dual ST400 super tweeters. 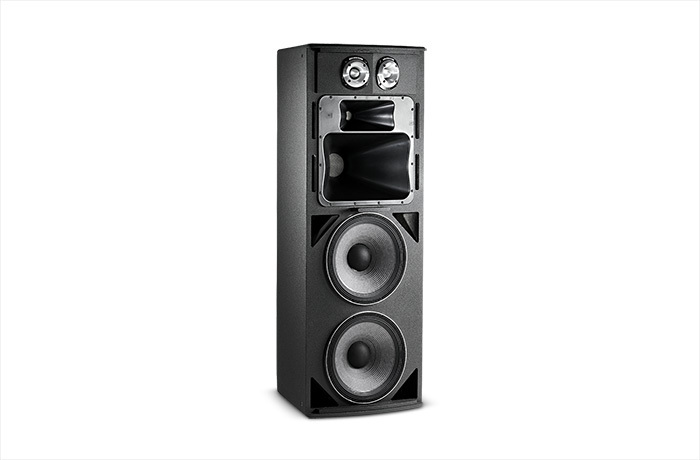 All of the Marquis Series loudspeakers offer unprecedented fidelity, clarity, and breathtaking purity. Grille Powder coated 14 gauge perforated steel. Input Connector NL8 Neutrik Speakon® and CE-compliant covered barrier strip terminals. Barrier terminals accept up to 5.2 sq mm (10 AWG) wire or max width 9 mm (.375 in) spade lugs. Speakon in parallel with barrier strip for loop-through.